We are availing our clients a wide assortment of Industrial Disc Capacitors which is extensively used in tank circuit in oscillator and commonly known us Carbon Resistance And disc capacitor. Manufactured using superior quality raw material procured from the trusted vendors of the market, these products are designed in compliance to international quality standards. Owing to their excellent performance, superior quality and longer functional life, these products are highly appreciated by the customers. Customers can avail these products from us at market leading prices.If you are interested and want to buy the product click below. Triode Valve for RF Dryer of all brands i e e2v technologies, Thales, Toshiba, Eimac etc., are used by us The valves are used in high frequency induction heating and welding. RF dryer in textile industries for drying of cones after dyeing. 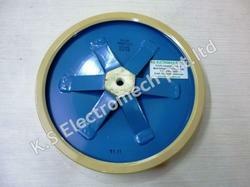 Wood gluing food processing units bakery units for baking also use oscillator valve / electron tubes in oscillators. If you are interested and want to buy the poduct click below. Steel Tube Mill Spares Rolls.We are the well know entity in the domain of producing Steel Tube Mill Spares Rolls of excellent quality to our customers. We are very selective in choosing the raw materials so that we can mould it into excellent and sturdy product range. Our rolls are high on operation because we test and try before making it available to our clients. Hence, our dedication and commitment to producing quality products has made us the prominent manufacturer and exporter. These are the supplementary products so we always make sure to keep it in store to make it available for the clients. 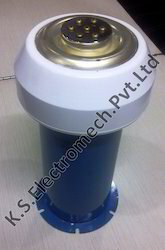 Being a client-driven organization, we are offering our clients a quality-assured range of Ceramic Tank Capacitor. Manufactured using superior quality raw material procured from the trusted vendors of the market, these products are widely used in tank circuit oscillators. Owing to their robust construction, superior quality and longer functional life, these products are highly demanded by the customers. In addition to this, we facilitate in providing customization as per the exact specifications laid down by the customers. If you are interested and want to buy the product click below. Our expertise has enabled us in offering a qualitative range of High Power Water Cooled Ceramic Capacitors which is manufactured by our professionals using the superior quality raw material in accordance to international quality standards. 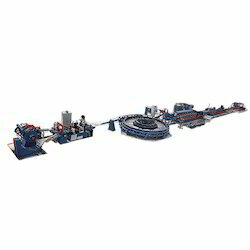 In addition to this, we facilitate in providing customization as per the exact specifications laid down by the customers. We always have good stock of HF Welder Spares parts used in tube mills. 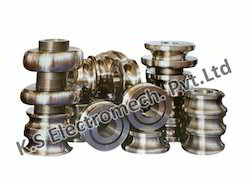 Rolls sets & slitting cutters are manufactured using high-quality high carbon high chromium steel duly machined. Electron tubes / triode valves & capacitors used in high-frequency welders are always available with us. 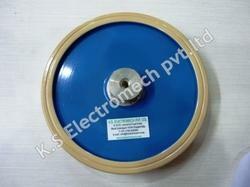 We are instrumental in providing a quality assured range of Metal Disc Capacitors to our esteemed customers. Manufactured using superior quality raw material procured from the trusted vendors of the market, these products are extensively used in various industries including Chemical Industries, Oil and Drilling Industry, Steel Tube Mill Industry, Paper Mills and Petroleum and Refineries. Owing to their robust construction, excellent performance and superior quality, these products are highly appreciated by the customers. Looking for Steel Tube Mill Spares Parts ?